reportedly dealing with names like Pierre-Emerick Aubameyang, Andrea Belotti, and Alvaro Morata. When the former Fiorentina striker went on strike in the middle of August, refusing to train with La Viola in an attempt to force the move, it endeared him neither to the Fiorentina fans nor the Milan ones. His proponents talked about his mobility, his sacrifice, his twenty-seven goals in two seasons for Fiorentina, and how well he would fit in coach Vincenzo Montella's team, but that was also where the problems lay for his detractors. Kalinic was too much of a safe choice, whose output and limits were predictable. There is something eminently insipid about Kalinic for the modern football fan. His haircut is maddeningly conformist. His face shows no torment of the thirty-years-or-so footballer, no affected gravitas of a Messi-style beard, or the lined forehead of the journeyman struggling for relevance. Clean-shaven and generally unimpressed, Kalinic seems to show up more for work than he does for a match, applying himself with corporate reserve on the pitch. Even when he celebrates a goal, he does it as if he knows exactly where it figures in life's calculus of joys. So, when he stuck three fingers up to the San Siro after scoring what he thought was his hat-trick goal against Udinese on Sunday, his matter-of-fact celebration was fitting, precise, showing that despite everything Kalinic hadn't lost his bearing--or count. 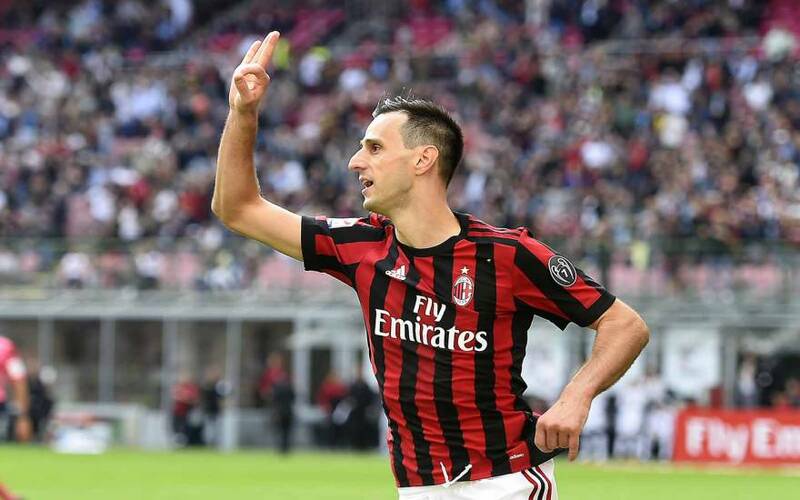 The 'goal' was ruled out by VAR, but Kalinic's other two counted in Milan's 2-1 win over Udinese. The first was brilliantly improvised, as Kalinic passed to Davide Calabria on the right, and poked the return ball home. The second goal showed the Croatian is not above putting his tall, awkward frame at the service of the team, stabbing the ball into the goal with one of his long legs as he collapsed to the floor from a challenge. Both goals came through a crowd of legs or a heap of bodies, as if Kalinic was brute-forcing his way into San Siro recognition. He may not be the number 7 that Milan fans wanted. He may not be the number 7 that Milan fans had with Andriy Shevchenko either. But even on that count, Kalinic has an answer, mundane but disarming. "I am a number 9," he told SKY after the game. "But it was taken by Andre Silva, so I took 7 instead." Kalinic is a reluctant number 7, and Milan fans have reluctantly accepted him as the shirt's heir. But if he continues what he has started against Udinese, eventually reaching that elusive twenty-goal mark this season, fans may forget how close they came to Aubameyang or Belotti during the summer.